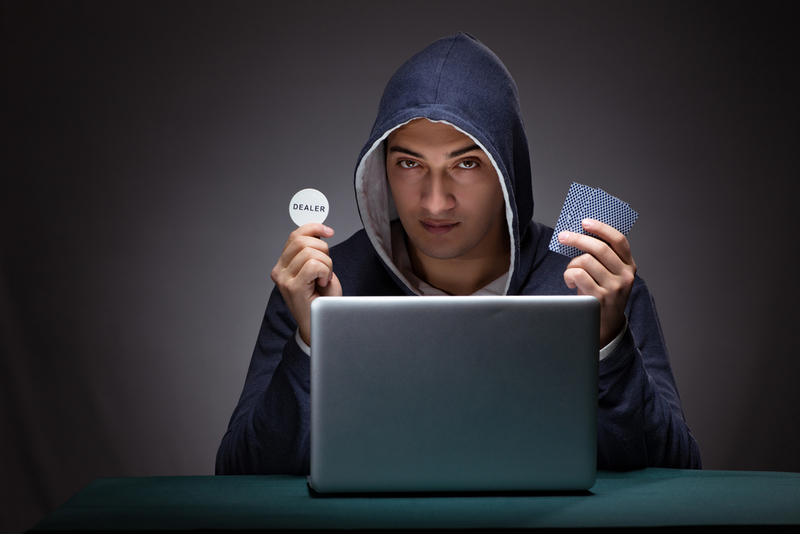 If you’ve been playing online poker for a while, you may have heard of something called ‘HORSE poker’. In short, it is an advanced form of poker in which five popular and fun forms of poker are played in a rotation. The acronym ‘HORSE’ comes from the names of these poker styles – Texas Holdem, Omaha Holdem, razz poker, seven card stud poker, and eight-or-better poker. This article explains why exactly you should play HORSE poker, what the general rules of the game are, and how each variant works. Why Should You Play HORSE Poker? There are a few reasons why people choose to play mixed games of poker such as HORSE. Firstly, it is popular, and that means that you are likely to come across it. It is played at the World Series of Poker and other prestigious tournaments, and if you’re an advanced player it might be expected that you know how to play HORSE poker. Another advantage of the game is that is is very advanced – it requires you to know the different kinds of poker and it means that you’ll be playing against very experienced players, which will give your brain a challenge as well as improving your game. Finally, it is said that one of the clearest advantages of HORSE poker is that it really shows the extent of your skill at poker in general, as it does not give any advantage to single-game specialists. How is HORSE poker played? The five variants described above are rotated in order, with each one being played for a set amount of time. This amount of time can be agreed upon by the players, but usually, it is one full orbit, meaning that the dealer button passes to each player once. In a tournament, the game switches to the next variant every time the blind changes. When all the variants have been played, the players go back to the first variant and play through them again. In terms of money wagered, games of HORSE poker are played Fixed Limit, rather than Pot Limit or No Limit. This means that the limits are the same throughout the different types of poker, which makes this aspect of the game easier for the player. Below, the different variants included in the game are briefly explained. Most players will be very familiar with this particular variant, though many will not be used to playing it in a Fixed Limit format. In this type of poker, players have to make the best five card poker hand possible with five of their seven cards. If you are familiar with Texas Holdem, then this variety won’t seem very different. The rules are basically identical, except that the player is dealt four hole cards and must combine these (using two hole cards and three community cards) to make the best five card combination they can. Also similarly to Texas Holdem, the main difference players will notice will be playing Fixed Limit, rather than the Pot Limit or No Limit formats more usual for Omaha poker. Razz poker is a fun twist on the usual game. The goal here is to get the lowest ranking hand rather than the highest. Each player recieves seven cards and must use five of them to create the lowest hand possible. Like in razz poker, each player is dealt seven cards – but the aim is the opposite, and the player must create the highest ranking hand possible, only using the cards they have been dealt. This is similar to the previous game, but as well as creating the highest ranking hand, the player also must create the lowest ranking hand they can too – with the restriction being that to qualify, their low ranking hand can have no card higher than eight. If they achieve this goal, they win half of the winning pot. In conclusion, learning to play HORSE poker is something that all serious poker players should really consider. It is fast and fun, as the constant switching of variants keeps it exciting and keeps the game moving quickly. It’s also a great way of putting your skills to the test and improving your game. If you’d like to find out more about any of the types of poker mentioned, you can check the archives for advanced articles on all aspects of poker and get started playing horse poker games.